Cornell Cooperative Extension (CCE) puts knowledge to work in pursuit of economic vitality, ecological sustainability, and social well-being. We bring local experience and research-based solutions together, helping NYS families and communities thrive in our rapidly changing world. 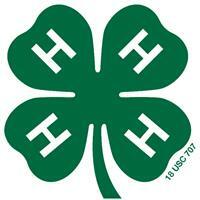 The Livingston County Association offers the Livingston County 4-H Program, parenting classes, agriculture and gardening help, car seat checks, food preservation assistance, nutrition advice, and youth development opportunities.